It’s hardly possible for The Eternal to sound even more un-Australian. Their sound, strongly inspired by gothic and doom, is less Down Under than Norhtern European. At least they can boast a Finnish label! As on their previous album Sleep Of Reason, the band displays still a dark aura and hardly even relies on too long songs. Their material rather tends towards the gothic genre, with the melancholic keyboards guaranteeing a typical Finnish sound. Despite not being overly original, the wonderful arrangements and well placed drama generally help the material to succeed. I am more convinced by their more unusual and daring pieces that please with tons of mood changes. This works best on the sad Sunshine which reminds me a little of early Genesis, and the nearly ten minute long Blood with some oriental parts, coming across like the gothic variant to Led Zeppelin’s Kashmir. Kartika has turned out to become more heterogeneous than its predecessor, and maybe that’s where I don’t like the new album as much. The melancholic tracks have partly become too mellow, with not so exciting songs like Illuminate, Walk Beside You and Means For An Ending lowering the overall impression. 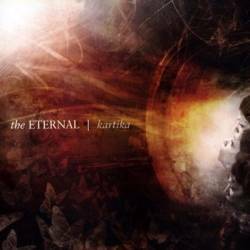 The Eternal offer some truly stellar moments, but can’t uphold that level for the entire hour. Fans should look out for the limited edition which comes with a bonus CD containing six remixes of older and newer songs.